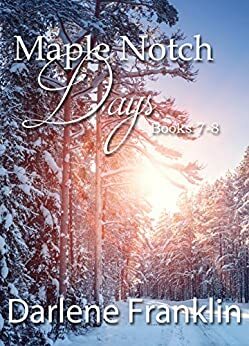 Climb into adventure in the Green Mountain State where the descendants of the Tuttle family continue make their home in Maple Notch in contemporary Vermont. Felicity Finch is trying to save the family home, the Bailey Mansion, by running a bed & breakfast with a bake shop. Travis Cobb, host of the TV rescue show B&B or Bust, arrives to help—with problems of his own. How can both they both overcome their professional problems and find love in the process? Felicity’s older sister Verity Finch Clark is a widow with three children. Truant officer Garrett Sawtelle enters her life when her oldest son skips school. How can he convince Verity that together they can build something real and lasting?